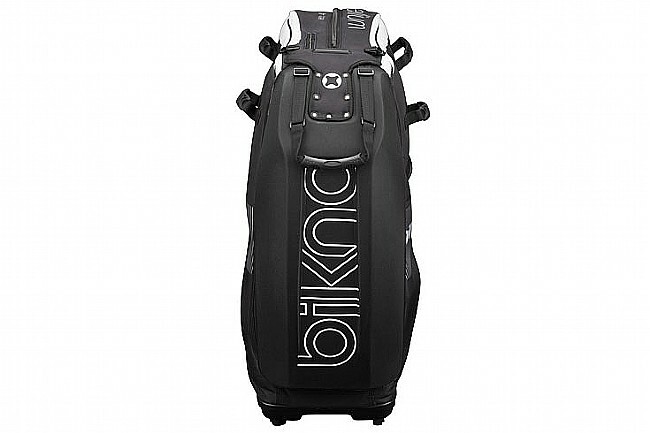 Earn $64.99 in Rewards credit (6499 points) What's This? 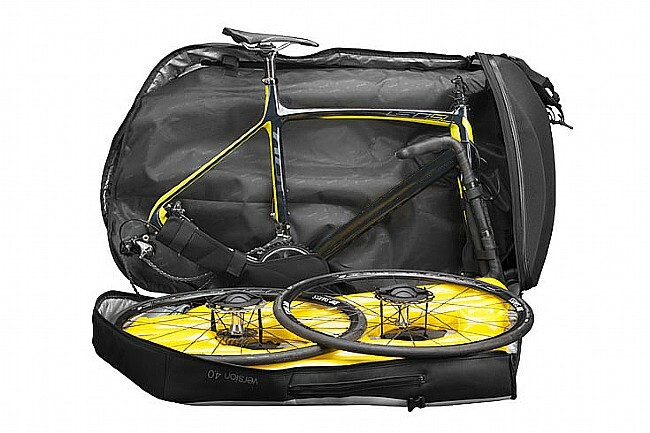 For riders who travel often with their bikes, nothing is as crucial as having a case you can put your confidence in and that makes getting through the airport as easy is possible. 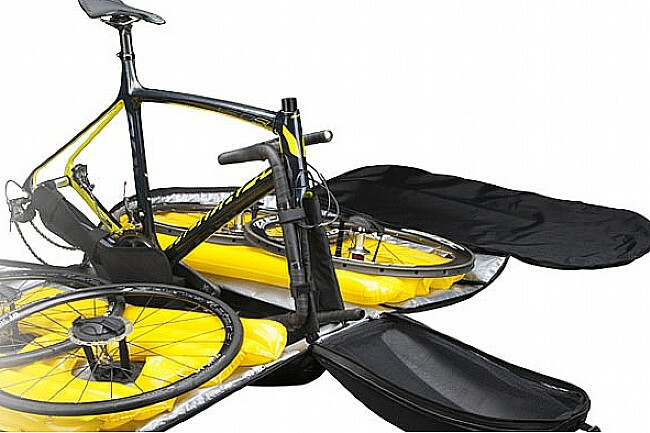 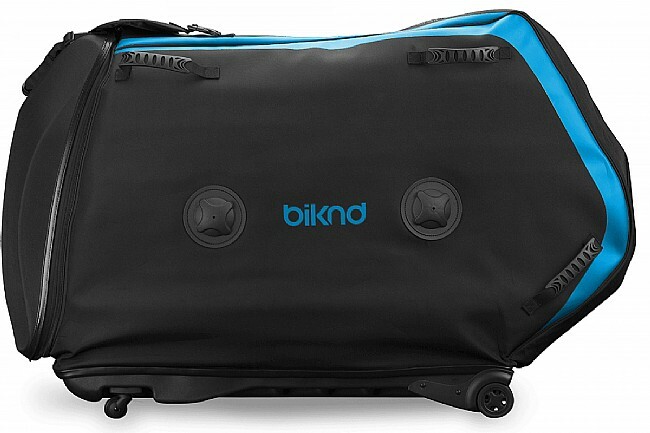 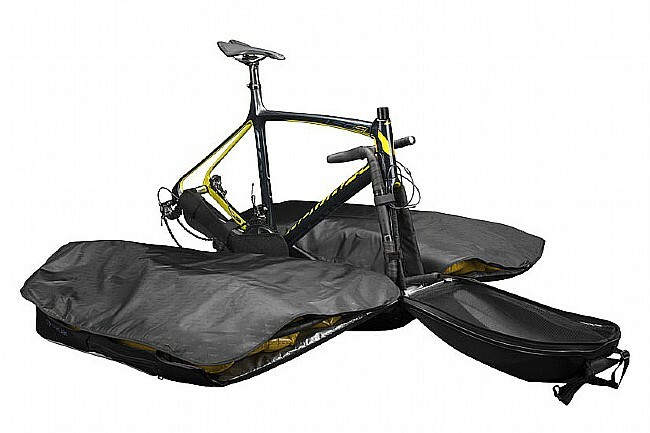 The Biknd Helium V4 is more convenient than ever for the jet-setting cyclist, offering lightweight construction and unique inflatable partitions. 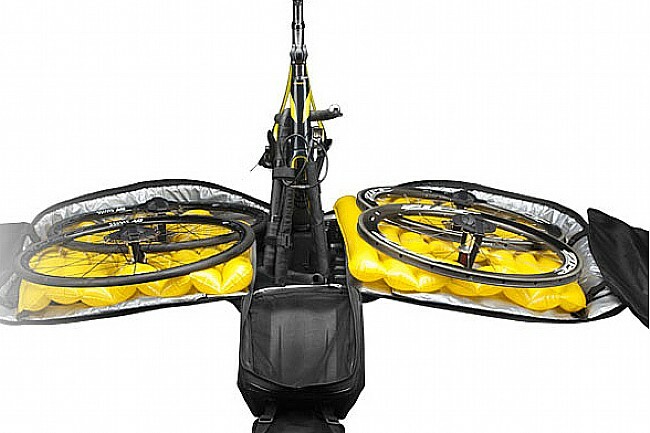 Rigid polyethylene reinforcements are located in key areas to augment the protection of the 200 denier nylon inflatable airbags located inside, and Hubcap technology allows the Helium to carry 2 wheelsets (4 wheels total) with complete security. 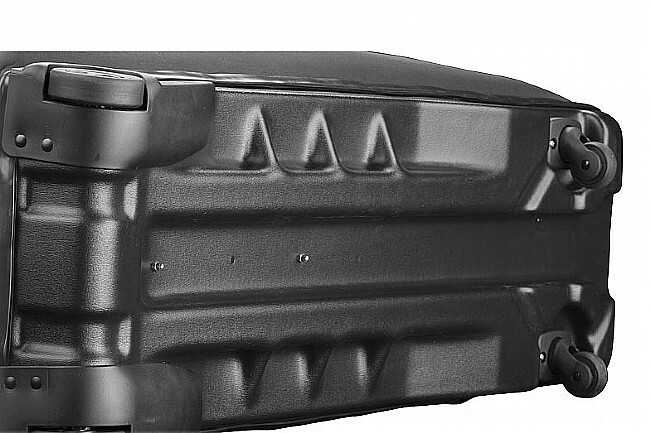 For easy packing and unpacking, the Helium opens 360°, and transport is no problem thanks to multiple handles and swivel casters at the bottom. Inner and outer accessory pockets allow for storage of helmet, shoes, the included airbag pump, and other cycling accessories to minimize the need for additional luggage.